.Golden Circle acknowledges the expertise of members who have been engaged in the business of organizing for at least five years and have been a NAPO member for at least one year. For a full background about Golden Circle, please read the PDF, History of Golden Circle. Membership in Golden Circle offers fellowship, camaraderie, and a "golden" opportunity to share experience and network with other accomplished professional organizers. Membership is complimentary, and each member receives a Golden Circle pin and certificate suitable for framing and for use with marketing materials. Golden Circle members are encouraged to use the Golden Circle logo on their websites, social media pages, and marketing materials. For detailed information on rules and requirements, as well as the application form, please visit the Golden Circle page on the NAPO National website. 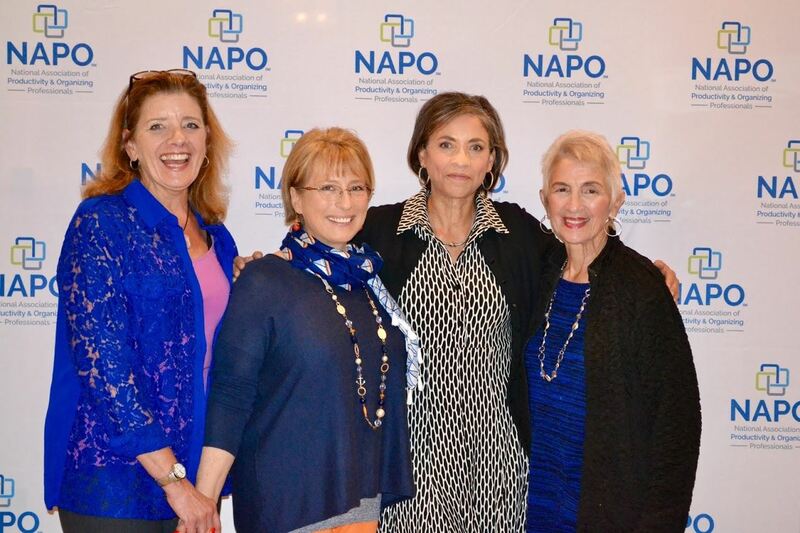 NAPO-LA is the Founding Chapter of the National Association of Professional Organizers, and the five Founders are still members of NAPO-LA, some of them very active in our Chapter to this day. For photos of past meetings and activities of NAPO-LA's Golden Circle members, please see our NAPO-LA Golden Circle Photo Gallery.